Adele makes history as the only artist in Grammys history to sweep the Album, Record and Song of the Year twice. Beating Beyoncé’s Lemonade, Drake’s Views, Justin Bieber’s Purpose and Sturgill Simpson A Sailor’s Guide to the Earth. During her acceptance speech she opened up about motherhood and had a lot of nice things to say about Beyonce. Talk about friendly competition and Girl Power right! “I can’t possibly accept this award, and I’m very humbled and very grateful and gracious, but my life is Beyoncé, and the album to me—the Lemonade album, Beyoncé—was so monumental, and so well thought out, and so beautiful and soul-bearing,” Adele said. Adele went backstage and broke her award in half to give a piece of it to Beyonce. Adele’s album 25 rose to the top of the charts after its release in November 2015 and sold 8.03 million copies. 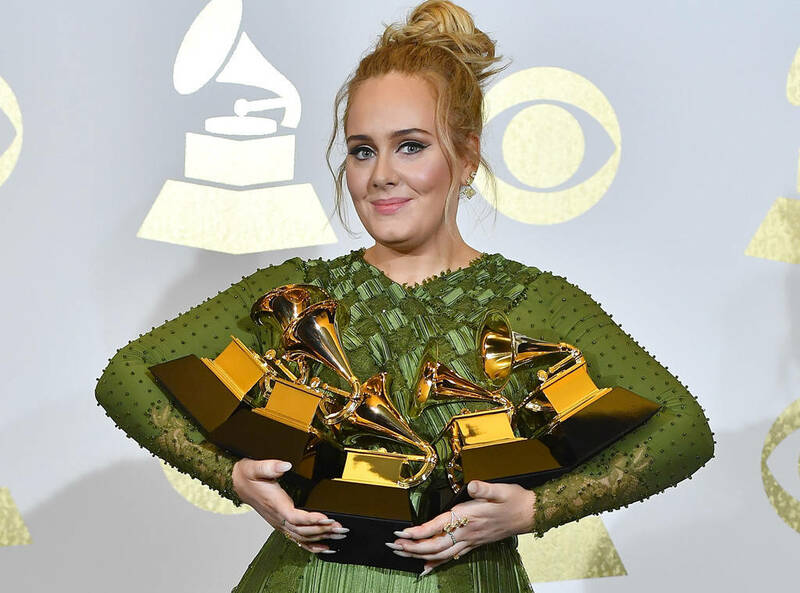 Adele leaves the 59th Annual Grammy Awards with all five of the awards she was nominated for—Album of the Year, Song of the Year, Record of the Year, Best Pop Solo Performance and Best Pop Vocal Album. What are your thoughts? Tweet us @FRUMAGAZINE and let us know.